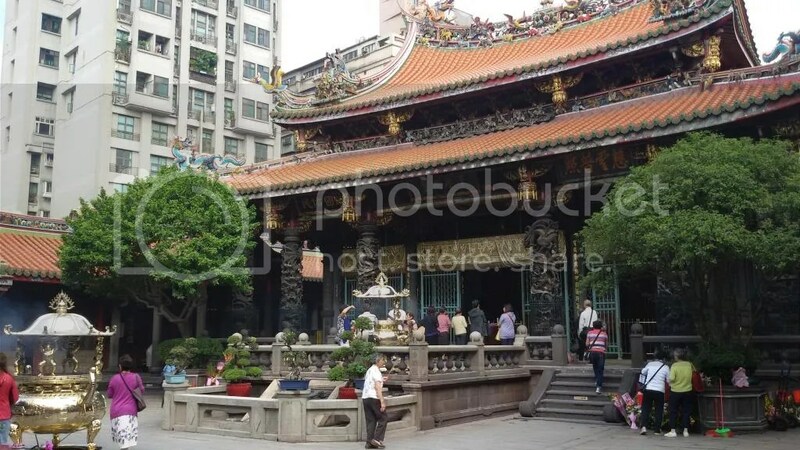 Longshan Temple would probably be the easiest temple to visit in Taipei. Simply hop off from the station of the same name and walk out the exit. You’ll definitely see the temple just across the street. 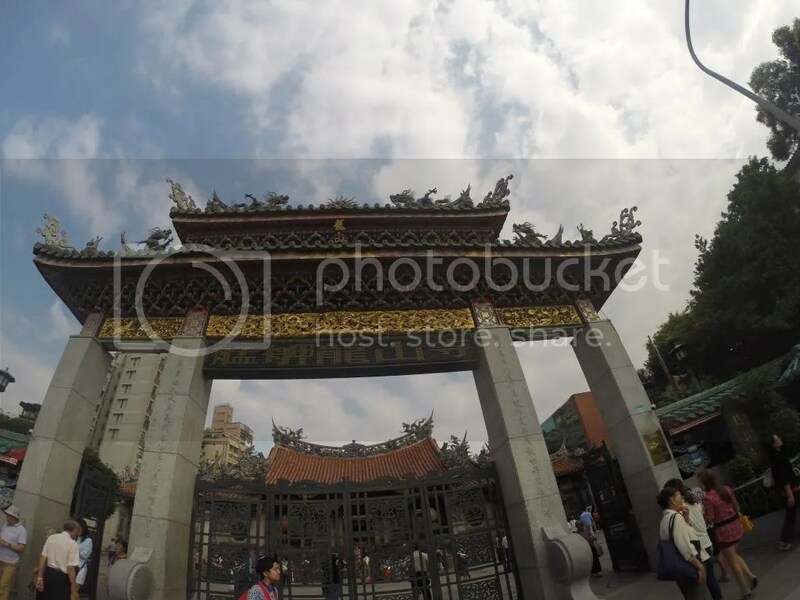 It’s Taipei’s most well-known, largest and oldest temple. At 7 am, the temple was already starting to get busy with Buddhists and Taoists entering to say their prayers. Entrance is free but donations are welcome. 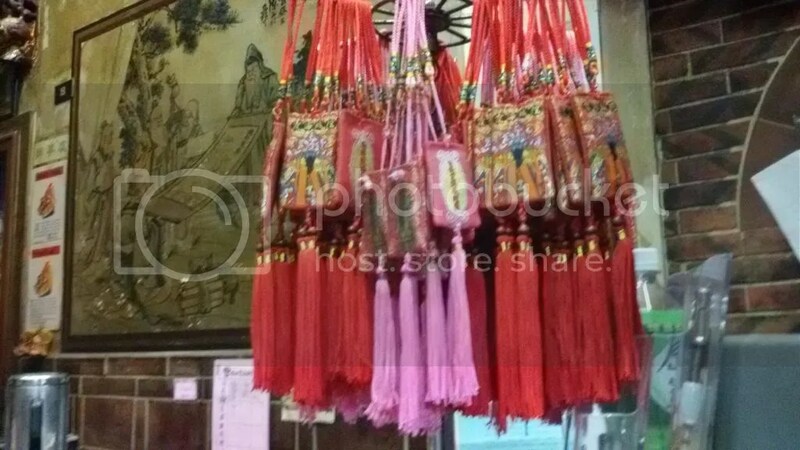 These donations are used by these caretakers to maintain the temple’s three large halls. 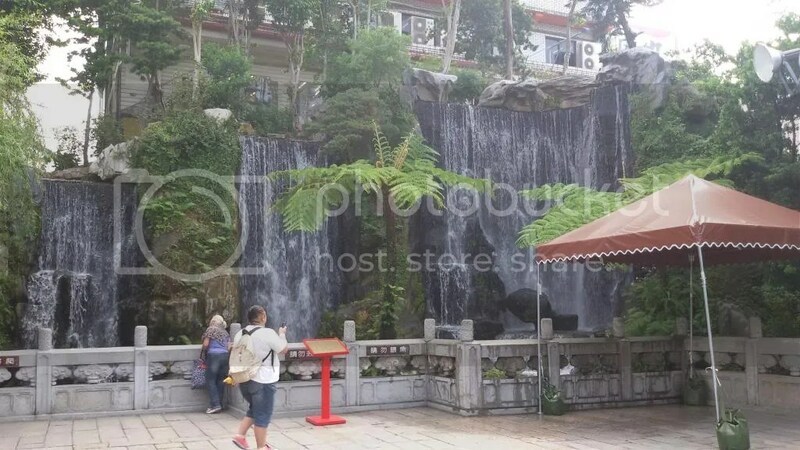 By the courtyard, you will find a waterfall and a pond with some Koi fish. I couldn’t help but admire the solemnity of the temple and its beautiful and intricate design. At one point, I just sat by the side, watching the visitors passionately pray to their gods. 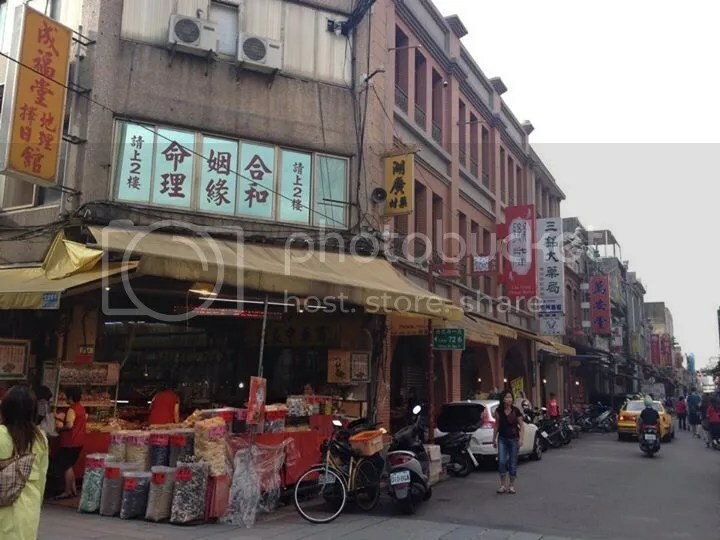 After spending some time at the temple, I took a walk towards the Bopilao Old Street to check out traditional and well-preserved houses and stores during the Qing dynasty. Unfortunately, the area is closed during Mondays. Instead, I checked out the side streets and found a wide array of herbal teas. 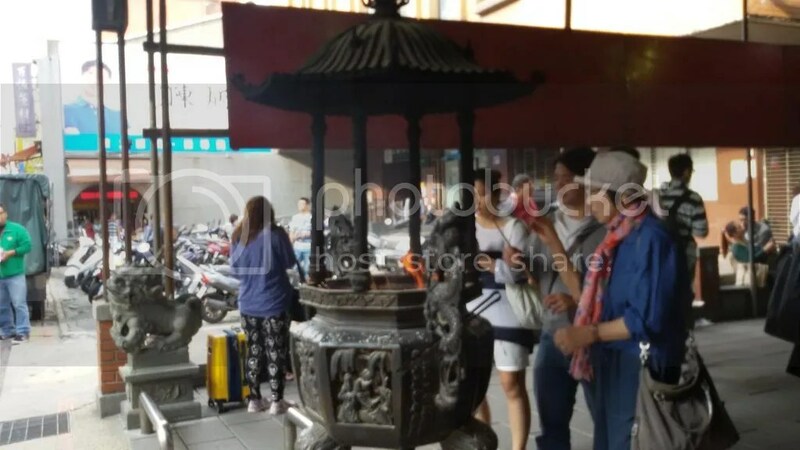 I came across the Tin Hau Temple accidentally when I was walking through the busy Chengdu road. Its small and unassuming entrance would be difficult to spot especially since it was between very modern stores. Upon entering, you’d think that the temple would be very small, but it was actually quite big. 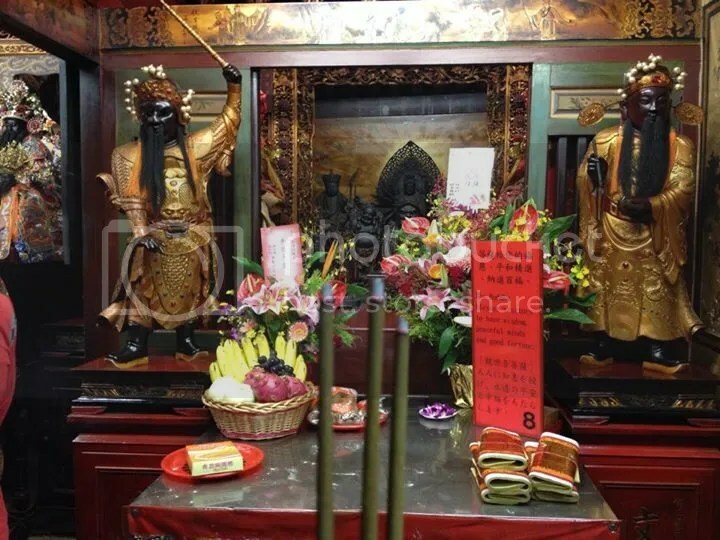 The main diety of the temple is the Mazu Goddess, who is the goddess of fishermen and sailors. 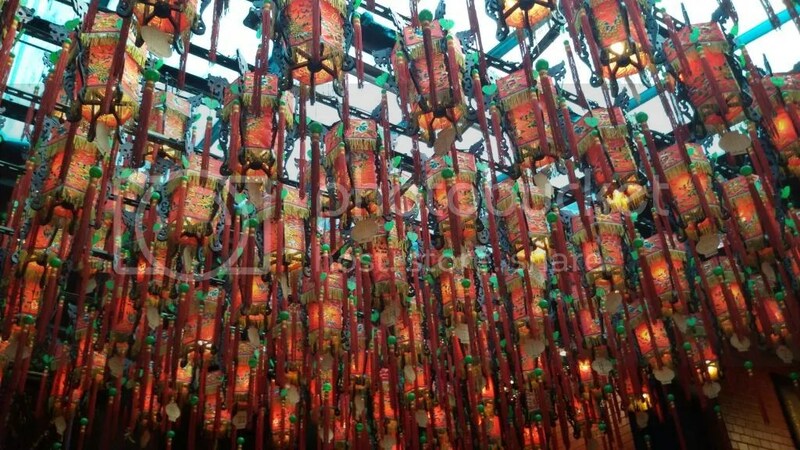 One would think that this would not make sense since this temple is found in the heart of Ximending’s busy streets. 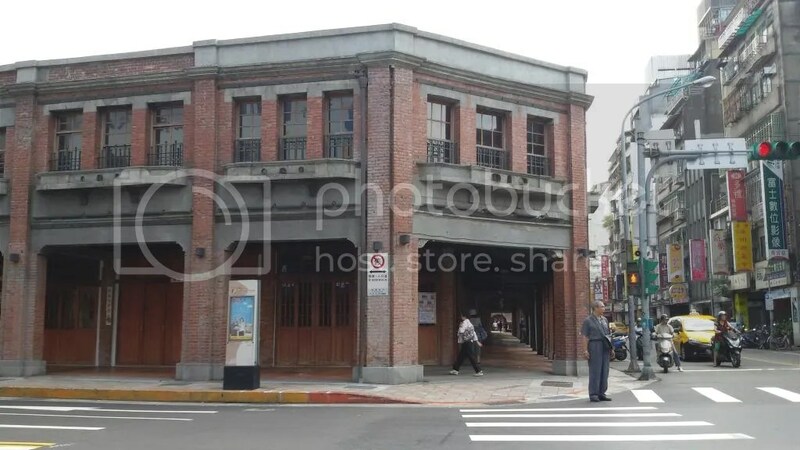 However, I found out that Wanhua was actually once a busy port along the Tamsui River. Unfortunately, I was only able to take two shots since the care taker told me that photos were not allowed. 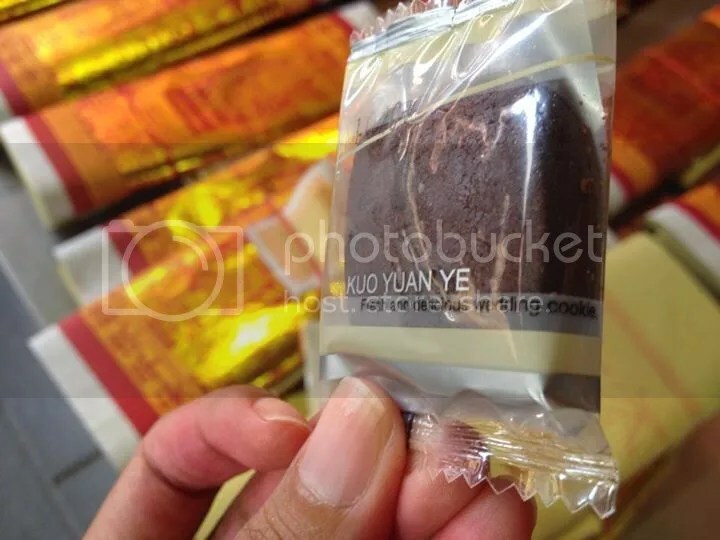 M had a short Taipei job stint for GSK and one of the most memorable destinations that she talked about was the Xia Hai City God Temple or what I coined as, “The Love Temple”. 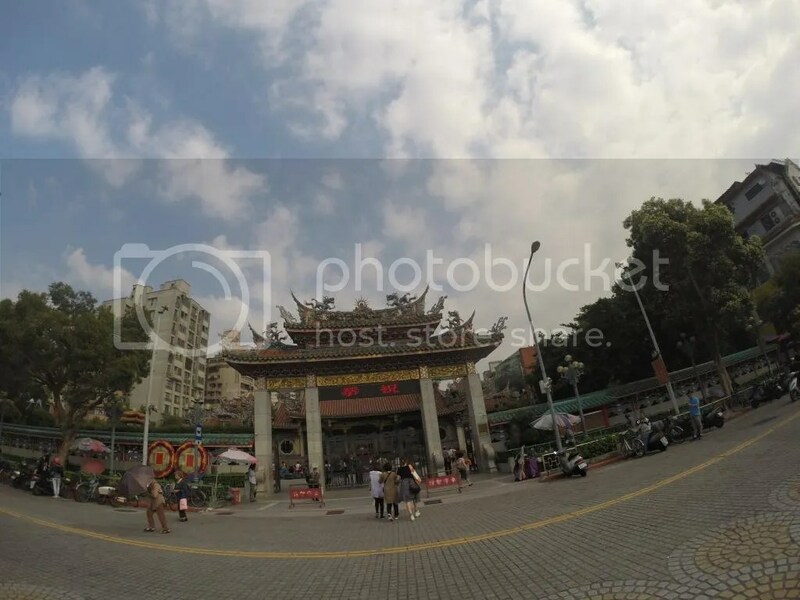 Since I was on a mission to #LookForThe1InTaiwan, this temple was a hyped-up must-visit destination for our trip. 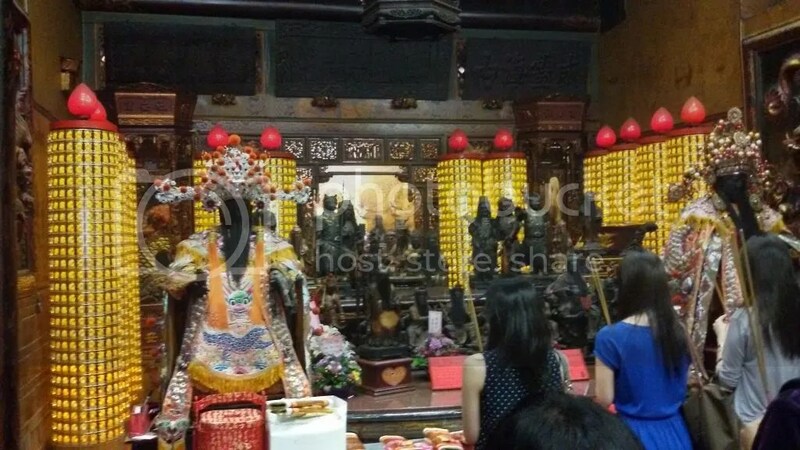 There is a legend in this not-so-hidden temple, and its the Legend of Yue Lao, the Old Man Under the moon. This old man holds a book that contains all the future marriages and is responsible for tying a red thread for couples who are meant to be. 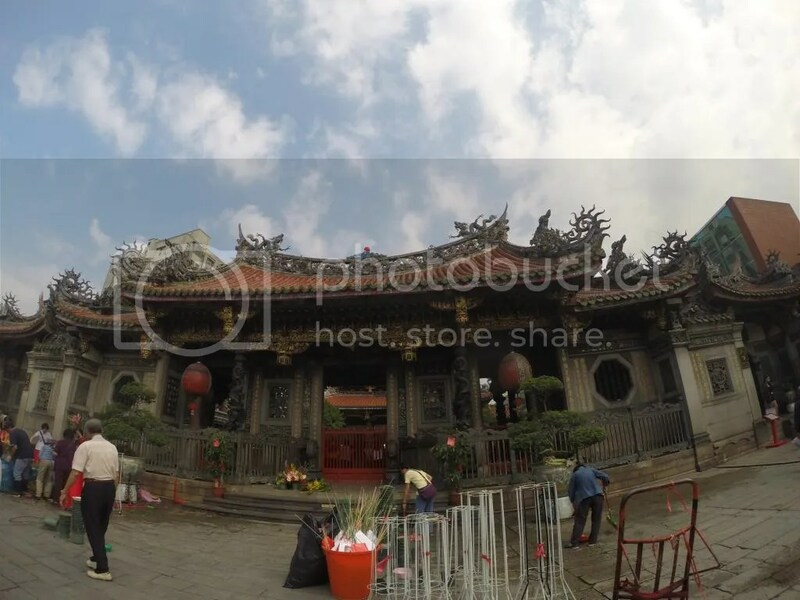 In this temple, you get to pray to the City God, Yue Lao. Off to some serious business: requesting for some lovin’. Proceed these old ladies whom will give you a set of items that you would be needing to find your love. 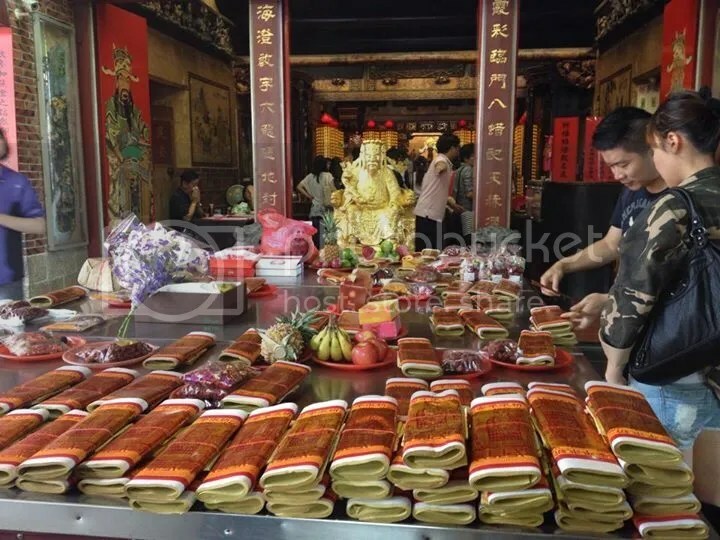 These items (special paper, a wedding cookie, and three pieces of incense) could be bought for about NT $310. 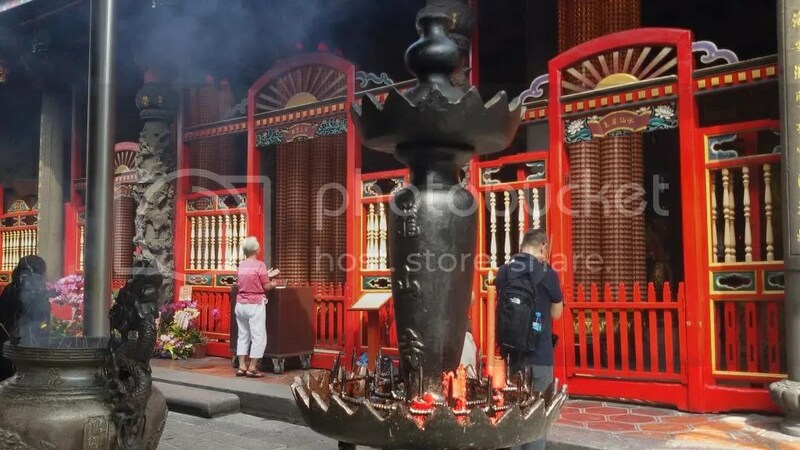 The first step is to light the incense sticks. 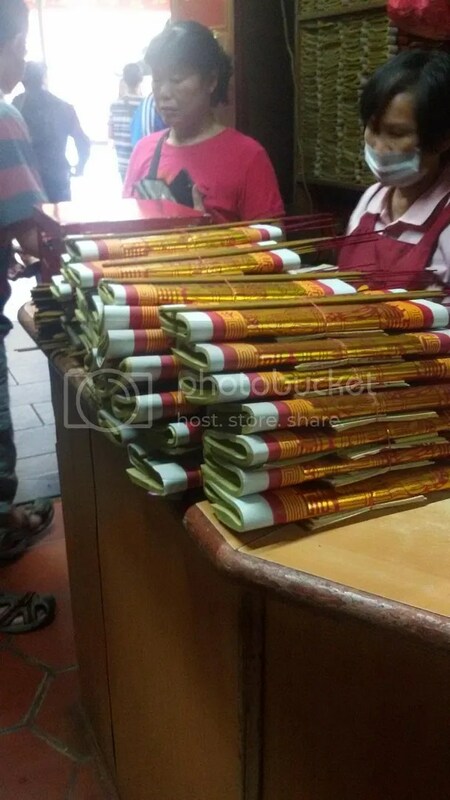 Bring these incense sticks to Tiangong (the City God’s wife) first and then the Old Man. You honor these gods by bowing. 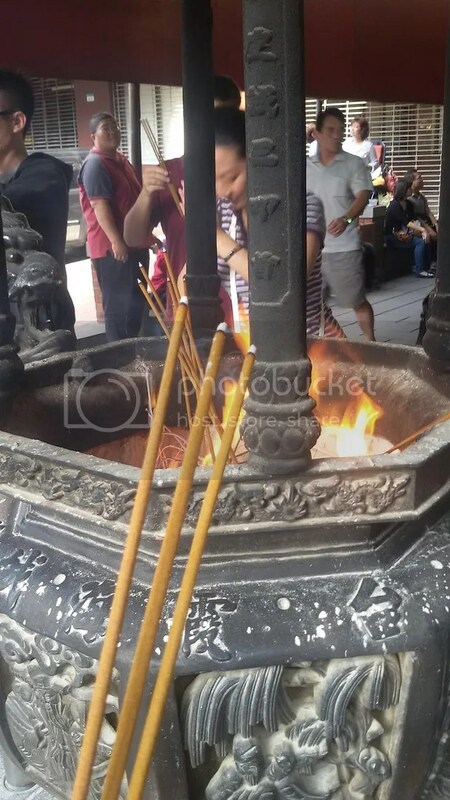 The correct way to bow is by holding the three incense sticks up with your head slightly tilted down. Repeat this three times each. State your full name, address, date of birth, a description of the type of lover you seek, and what you will do after finding love. 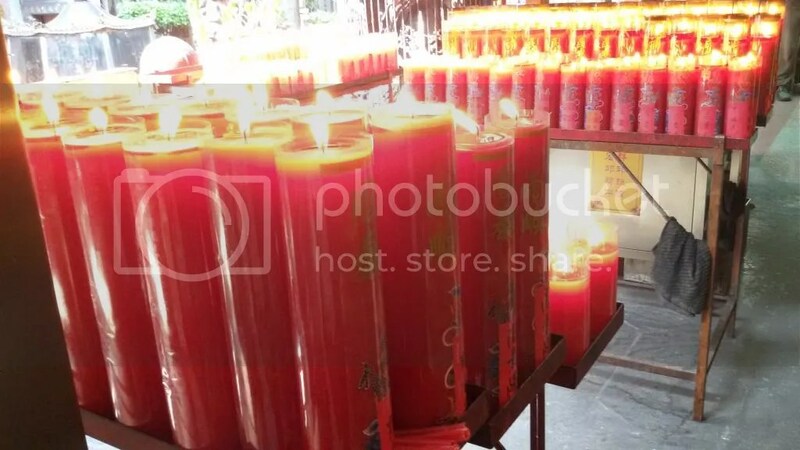 Since the temple houses about 600 dieties, feel free to pray to all of them if you need extra help for finding your love. Successful couples who have wed come back to the temple to donate wedding cakes as a sign of gratitude. 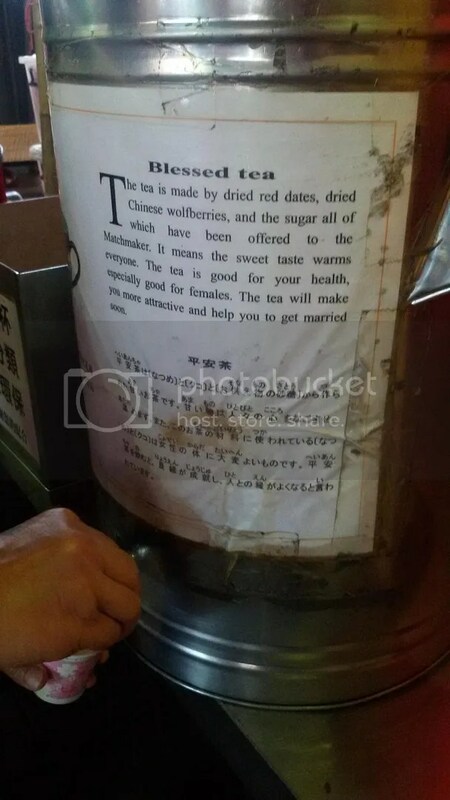 These “successful wedding cakes” are then distributed to those who visit the temple. Seen above is a shot of Ate LA’s wedding cookie. When you get yours, eat this with much gusto! These will attract the love vibes for you to get a taste of your wedding cake soon. 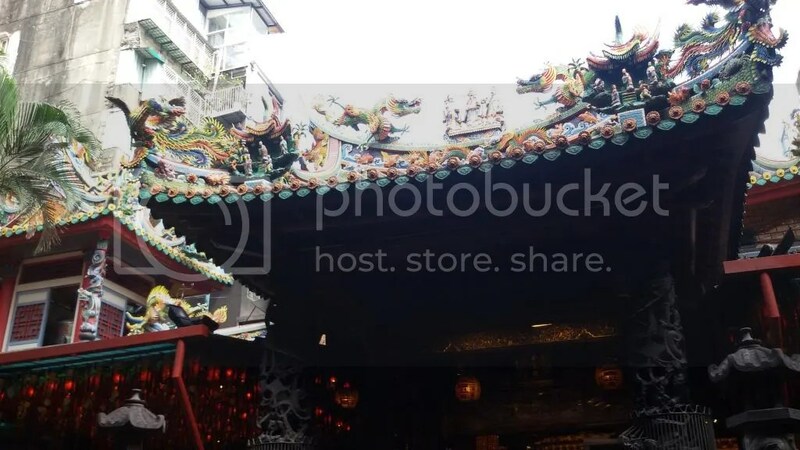 After your temple session, go and roam Dihua Street for some traditional food and street finds.